Dr. Sedki is an experienced dentist, helping patients improve their smiles for over 15 years. He has always stayed on top of the most effective dental technologies, and is now proud to offer Pinhole Gum Rejuvenation, as an incredible treatment for gum recession! Gum recession refers to the loss of gum tissue along the gumline. This can occur as a result of periodontal disease (gingivitis, periodontitis, advanced periodontitis), the natural aging process, or abrasive habits that occurs from brushing the teeth. In the past gum recession treatments involve the use of donor tissue or soft tissue grafts so that rebuild the gumline. This soft tissue would be sutured in place and then joins with existing gum tissue as it healed. While this traditional grafting treatment is effective, comparable results with an improved patient experience can be attained with the Chao Pinhole® Surgical Technique. "I've been a patient for years. Great dentist and staff. My whole family goes to the office." The Chao Pinhole® Surgical Technique is a minimally invasive solution for treating gum recession. Unlike older grafting methods, PST™ is scalpel and suture free. During the Chao Pinhole Surgical Technique™, a needle is used to make a small hole in the patient’s existing gum tissue. Through this pinhole, special instruments are used to gently loosen the gum tissue. These tools help expand and slide the gumline to cover the exposed root structure. 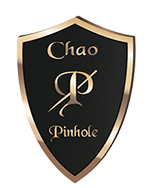 There are no structures, no grafts, and no incisions needed with the Chao Pinhole Surgical Technique™. It just involves the adjustment of the existing tissue. Why should residents of Commerce take gum recession seriously? When gum recession occurs, the root structure of the tooth becomes exposed. This is significant that tooth decay and other problems can affect the teeth along the gumline and beneath it. Since healthy gums are essential for a healthy mouth, getting gum recession treated is very important for lasting dental wellness. Your Commerce Township dental professional Dr. Sedki, can improve your oral health, let’s schedule your appointment today!